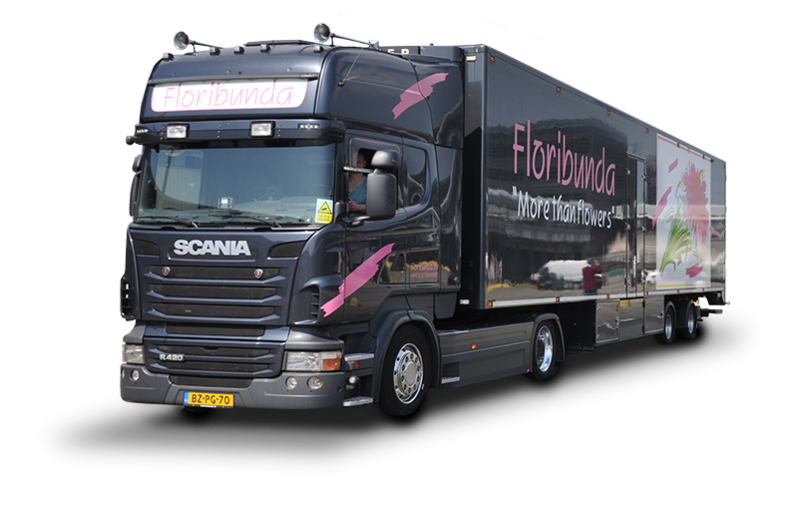 Founded more than 20 years ago, the professionals at Floribunda have been providing bespoke flower transportation to a growing number of domestic and international clients. We are fully capable of addressing the entire European Union and beyond, so logistics are never a concern. By their very nature, flowers are associated with a fleeting sense of beauty. This is why an ability to maintain quality during transport has been pivotal to our success. After all, even the most stunning of floral arrangements will quickly fade if not cared for properly from the very beginning. Our vehicles are therefore equipped with the latest technology in terms of cooling and maintenance. We take this responsibility quite seriously, as flowers should always appear fresh and vibrant upon arrival. We are well aware of the fact that transportation can be challenging from a logistical point of view. Metrics such as tolls, border crossings and unpredictable weather will often have to be taken into account. We have therefore built a solid reputation around the fact that our team can be trusted for on-time deliveries; regardless of the ultimate destination. Our drivers are very familiar with international routes and we will plan our schedule well in advance in order to accommodate even the most stringent of temporal demands. If you would like to learn more, please give us a call or send across an email at your convenience. You can alternately utilise our online contact form. A representative will be in touch shortly and we look forward to hearing from you.